Some examples of people we have been able to award grants to recently. Please send us your Regain testimonials to enquires@regainsportscharity.com – we would be thrilled to hear from you again. Regain has been an inspiration to me. 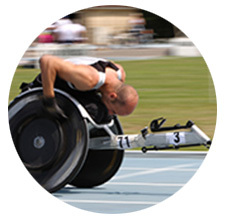 Over the past 10 years I have taken part in cycle challenges all over the world and Regain supported me in my bid to get into the GB Wheelchair Racing Team for the Paralympics where I came 5th in my event. Without Regain’s help I would never have achieved so much. Regain has been very supportive to me and my family and many major moments and memories of my life have happened with Regain. I can’t thank Regain enough for giving me a grant to help buy my mono-ski. 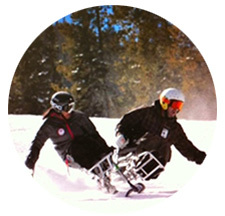 I now have a real chance of achieving my ambition of selection for the GB Squad for the Winter Paralympics in 2014. 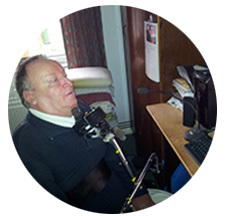 Regain is an amazing charity – I took part in the Vietnam to Cambodia Ride on a handcycle provided by Regain and came back inspired and motivated. 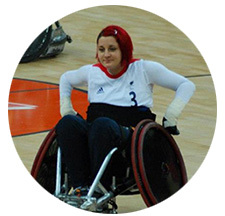 I am now the only female in the GB Wheelchair Rugby Team. 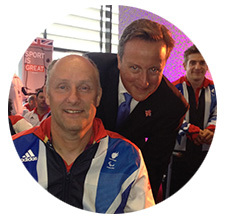 Regain has helped many people like me get back into sport by buying them rugby wheelchairs. 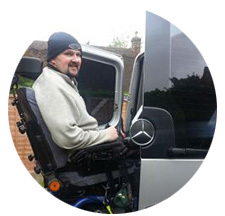 With Regain’s very generous help I’m now able to get in and out of my new vehicle, drive from my wheelchair and leave my house independently once again. Words cannot adequately express just how much this means to me but it’s no understatement to say it has been completely life changing and I am once again looking forward to every day and travelling to lots of different places safe in the knowledge I can now do this without someone else’s help all the time. Regain has played a crucial role in increasing my independence and mobility at a time of need and I know I am just one of the many tetraplegics Regain supports every year. I’m loving my IPad. I’ve had it a month now and I would like to say a big thank you to all the fundraisers of Regain in supporting people such as myself, enabling us to get things like this which are very useful to us. You can get to the outside world although we are inside, especially in winter time; they are a Godsend. Thank you very much. 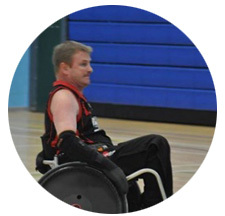 The rugby wheelchair which Regain kindly supplied me allows me to train three times a week as a player for Team Solent Sharks. Having my own bespoke chair as opposed to a generic club chair has been a massive advantage to me and helped me develop as a player. 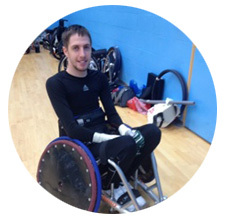 Wheelchair rugby is a big part of my life both as a means to fitness and a wider social life so I am very grateful for your support in funding my rugby wheelchair. In September 1987, when I was 18, I suffered a spinal injury during a Judo tournament in St Helens, as a result of which I was left paralysed from the shoulders down and dependent on a ventilator to breathe. I was a multiple British Judo champion at the time. While I couldn’t compete any more, it did not take me long to find out that there were plenty of things I could do. 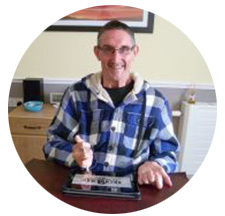 Regain came in by providing an adapted Macintosh computer with a headset. The headset sent signals to a receiver above the computer, which, in turn, ensured that the on-screen cursor would follow my head movements. A straw attached to a sip/puff switch allowed me to perform clicks and drags with the mouse, an arrangement that meant I could type and use an on-screen keyboard. Using the computers provided by Regain, I began by taking an A level in Tudor History at St Helens College. I was so encouraged by this that I decided to take an Open University degree in Humanities. A Masters degree in Military Studies, at Chester University followed and then another Masters degree in Creative Writing, this time at Bolton University. It was at this point that I began to write my own poetry, as well as reading and writing about the poetry of others. I must also add that in June 2013 I married Jayne, who began as my carer, but became my girlfriend soon afterwards. We are currently in the process of having Jayne’s house adapted. The future is certainly looking very bright. Long may Regain go on improving the lives of tetraplegics such as myself. Thank you all so much. 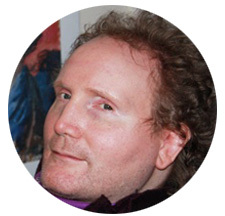 Owen will shortly have a new poetry collection ‘Rego Retold’ available from January 2015 but for more information about Owen’s book, ‘Otherwise Unchanged’ and the chance to see him reading his book please follow these links. 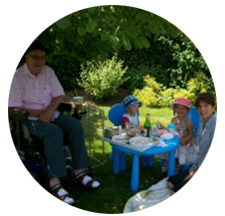 Thanks to Regain, the acquisition of my Quickie Jive Outdoor Chair in 2013 has helped me regain some independence and enjoyment of outdoor life. Following that I re-joined the Disabled Ramblers Association. The other picture was taken in at the Vale of Horcum, North Yorkshire. I had failed miserably to finish one of their ramblers 3 years previously with my regular wheelchair so couldn’t wait to take part again and be among “the big boys” with their Tramper machines! The group photo was taken at the start of the ramble and shows the popularity of this association but at the same time the absolute need for proper outdoor motorised equipment as some of their walks are quite challenging. It felt liberating to be in the great outdoors again, with the bonus of likeminded people too with whom my wife Teresa and I shared many similar experiences and useful tips. Thank you very much for Regain’s contribution to my new rugby wheelchair. It fits me great and I can already feel the improvement in my game from it.